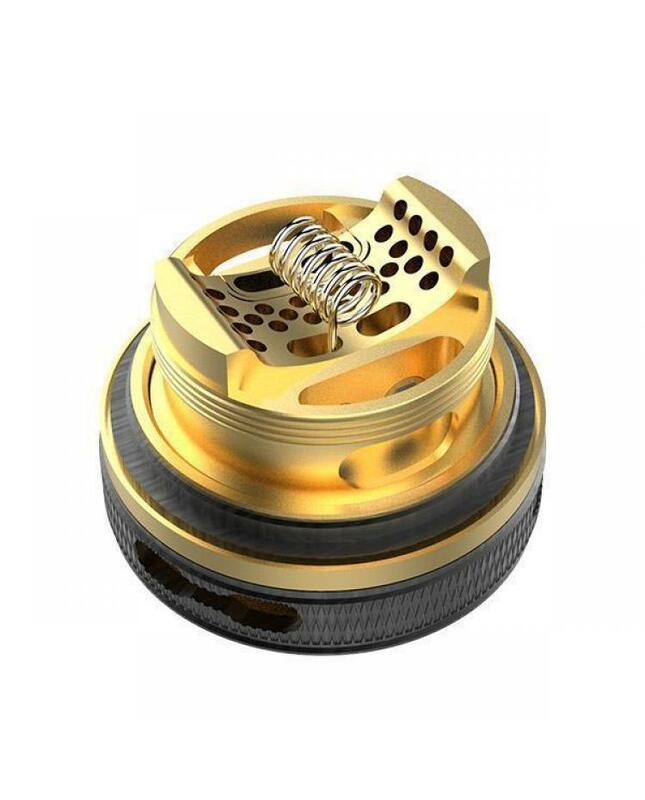 Coilart mage v2 RTA is the upgraded version of coil art mage.3 colors available, diameter 24mm, can hold 3.5ml e juice, comes with 5.5PCTG bubble glass tank to enlarge the capacity. 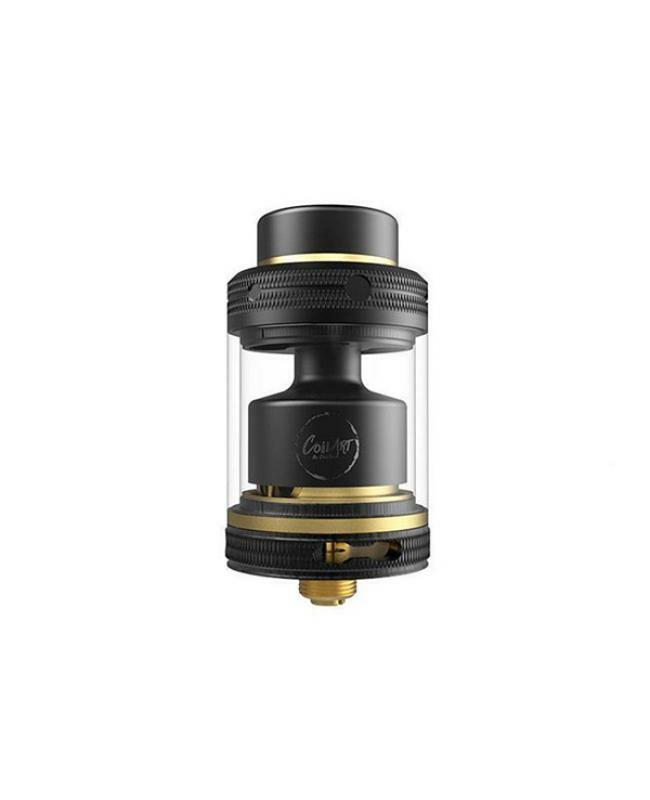 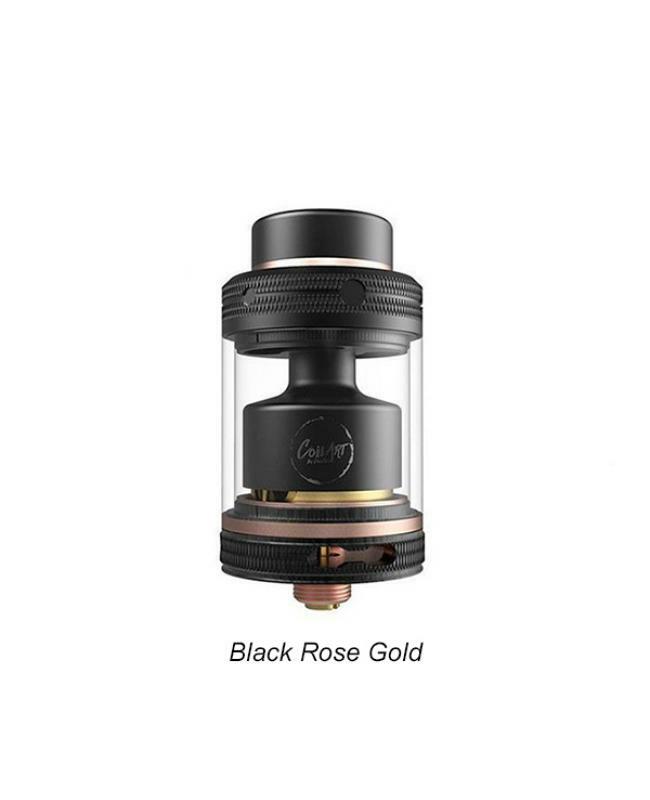 the new coilart RTA comes with 24K gold plated stainless steel postless building deck, dual wicking ports are located on side of the deck, vapers can install single coil or dual coils on it. 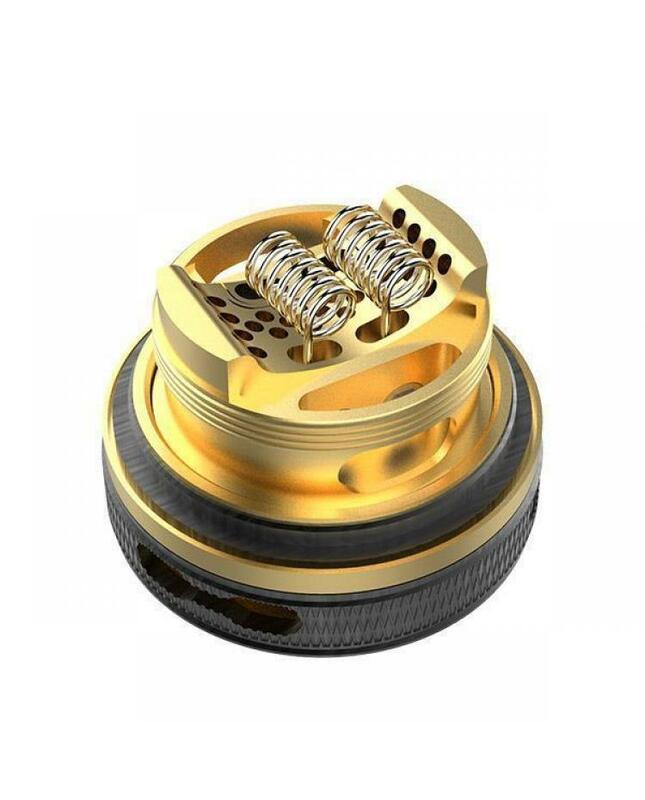 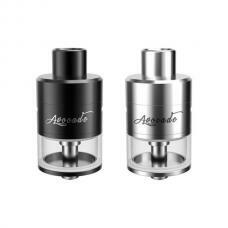 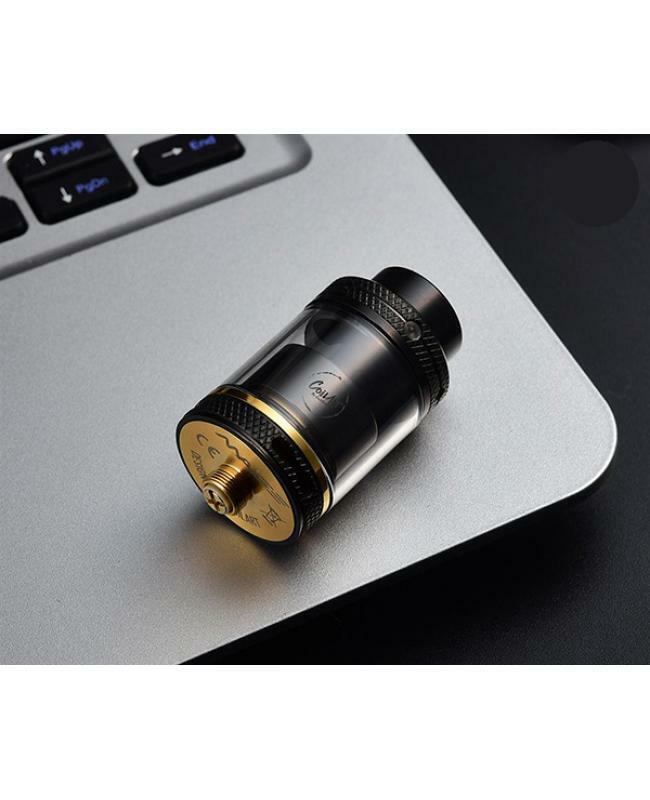 the postless build deck includes 20 honeycomb airholes that measure 1mm and are positioned around the terminals.bottom with airflow adjustable slots, vapers can adjust the airflow easily. 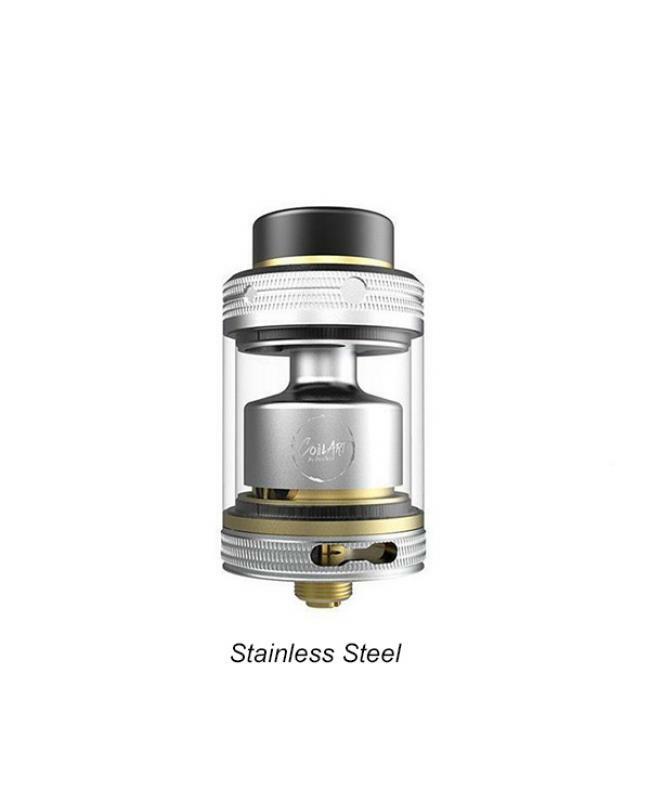 the new coilart RTA is a good tank for new and experienced vapers.